Athletes look to TITIN Tech products to make them faster, stronger and more efficient. TITIN Tech came to Op5 to make their e-commerce and fulfillment processes faster, stronger and more efficient. Having complex products and sales requirements necessitates a strong e-commerce and fulfillment process. TITIN Tech was struggling with low inventory visibility issues and a large amount of resources needed to manage ordering, inventory and shipping. 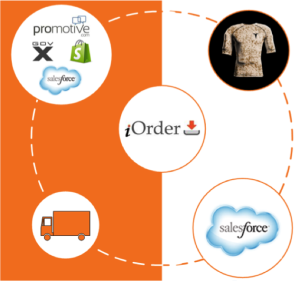 TITIN Tech utilizes four different store fronts—Shopify, Promotive, GovX and Salesforce. These four storefronts accept orders 24/7. They need access to accurate inventory for orders to arrive on time. Management of overlapping orders and providing correct shipping times is a must for customer satisfaction. TITIN Tech product components are produced both locally and internationally. Their products are kits, comprised of three to four different components. Inventory tracking must be managed for both kits and the components, which are arriving at different times and sometimes internationally. TITIN Tech ships all across the U.S. and internationally. They ship to U.S. troops all over the world in countries with difficult customs/shipping requirements. The wide range of shipping options and requirements causes a complex shipping process. The shipping information must be tracked and provided back to the four storefronts. Op5 introduced their web-based warehouse management system iOrder to TITIN Tech. iOrder is able to provide real time inventory to the four store fronts. No longer are there unexpected inventory shortages. iOrder tracks the smaller components and provides an inventory based on the available full-product kits. iOrder knows when the shipment has really been shipped. It is fully integrated with FedEx providing accurate shipping information. Op5 also provides APO/FPO shipping to the troops, as well as handling the customs requirements for shipping around the world. iOrder tracks the shipping times and sends the information back to the four store fronts. 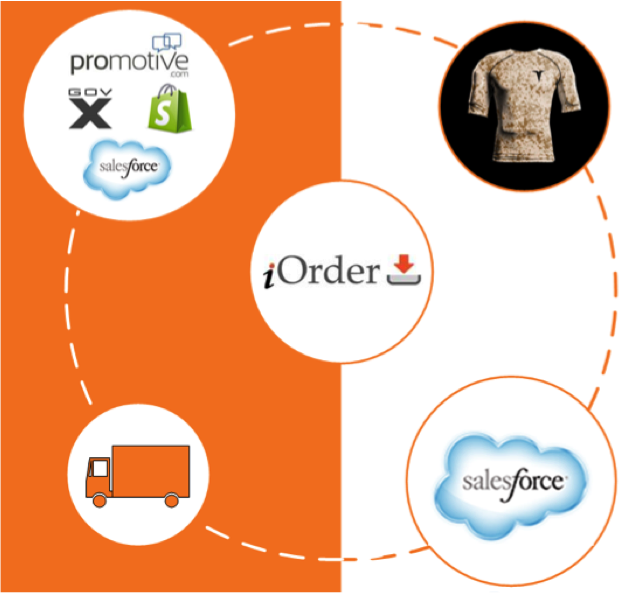 iOrder integrates all of the stores’ orders, inventory levels by full product kit and shipping information into Salesforce. TITIN Tech has full visibility to all of their costs, sales and inventory data in one central, easy-to-access location. In just six short months, thanks to Op5 and iOrder, TITIN has faster ship times and more visibility than ever before. Instead of managing inventory, orders and shipping, they are spending more time creating great products like the new TITIN Shorts System.